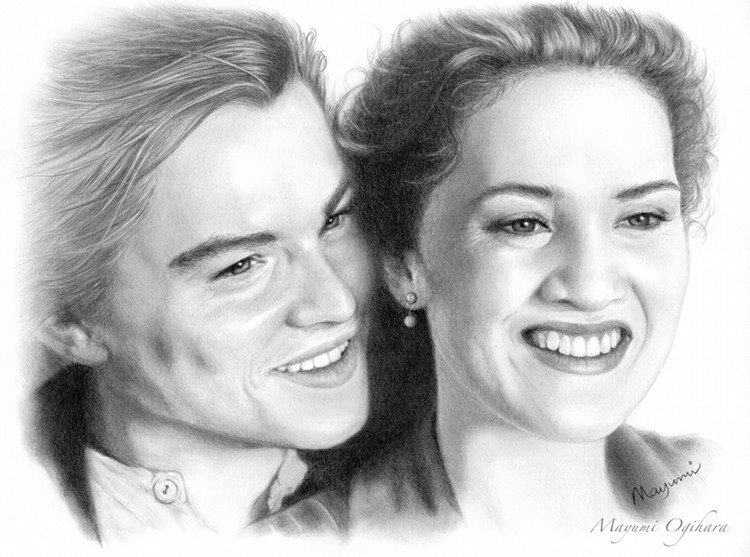 Jack and Rose <3. . HD Wallpaper and background images in the Jack and Rose club tagged: titanic rose jack kate winslet leonardo dicaprio poster. This Jack and Rose fan art contains चित्र, headshot, closeup, हेडशॉट, and क्लोज़अप. Awesome!! Did you draw that? No no, I wish lol. I always site the artist (in this case they're called mochriadhemiach) you can see it under the picture where it says source. Most are from Deviantart, you can find them easily by google.